| Courtesy photo Elizabeth Elena Laguna-Salgado has been missing since Thursday. She failed to report to work and never returned home to her apartment. Police are asking the public to be on the lookout for a woman reported missing after she failed to report to work last week or return to her Provo apartment. Provo police say that 26-year-old Elizabeth Elena Laguna-Salgado was last seen on April 16, leaving the Nomen Global Language School at 384 W. Center Street. She never returned to her home, and family members told police they have not been able to make contact with her. Laguna-Salgado is described as 5-foot-4 to 5-foot-5, 120-130 pounds, with long black hair and brown eyes. When last seen, she was wearing a denim jacket, blue jeans, black or brown knee-high boots, and was carrying a denim hand bag with red straps. 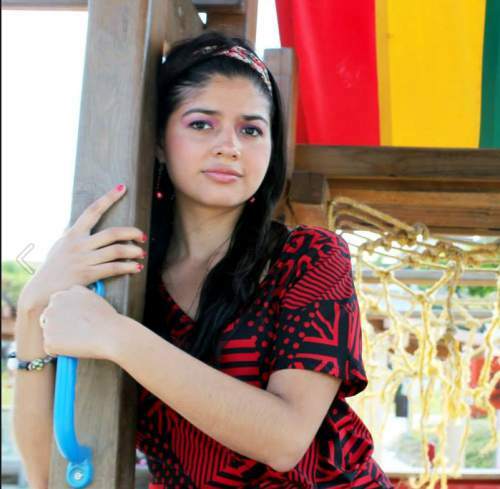 Anyone with information about Laguna-Salgado is asked to call Provo police at 801-852-6210.